Given to exceptionally active and inspiring individuals who have dedicated their careers to the support of others in the field. Nominees may include individuals who have made outstanding contributions over several years in the field of independent school business operations, including service to other schools, business officers and groups. Nominees for this award, the association's highest honor, must be affiliated with an NBOA member school. Nominations are currently closed for the Distinguished Business Officer Award. Dallas Joseph entered the independent school sector after serving in financial leadership positions at two higher education institutions. In 2000, he joined the Baylor School, in Chattanooga, Tennessee. As chief financial officer and chief operating officer, Joseph oversees several major administrative units and has led ongoing efforts to strengthen internal controls and financial reporting systems, in addition to implementing the school's strategic plan. Every year since 1999, NBOA has honored an extraordinary professional with the Distinguished Business Officer Award. View the award's past recipients. The Distinguished Business Officer Award honors the legacy of Kenneth A. White, Jr., who had a passion for this field and an incurable desire to help others. He could discuss business matters anywhere, and always had extra time for problems and questions. Ken pushed himself to find ways to do things better. He was a visionary, not just for his school, but for all schools. Upon his death in 1996, speakers at his memorial services recognized him as "a man of deep faith," a "mentor," and an "inspiration," as well as a valued colleague, neighbor, and friend. Ken held a top financial position at Davison-Elkin College, and then served for 21 years at Westminster School in Atlanta. 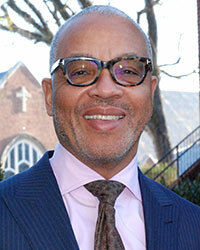 He was a founding member of MISBO (Mid-South Independent School Business Officers), and was active in many other organizations, especially ABOIS (Association of Business Officers of Independent Schools), and also served a term on the NAIS (National Association of Independent Schools) Business Service Committee.